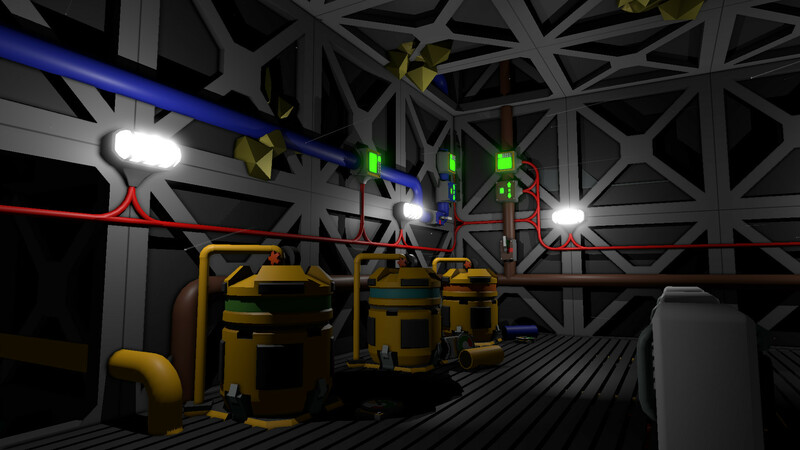 Stationeers is a space designer with good management. Playing alone or with friends, you will serve the space station. Your responsibilities include full control of the station. Watch for temperature, pressure, electricity, gravity, provisions and other important plant parameters. Also go explore the boundless outer space in search of useful resources. 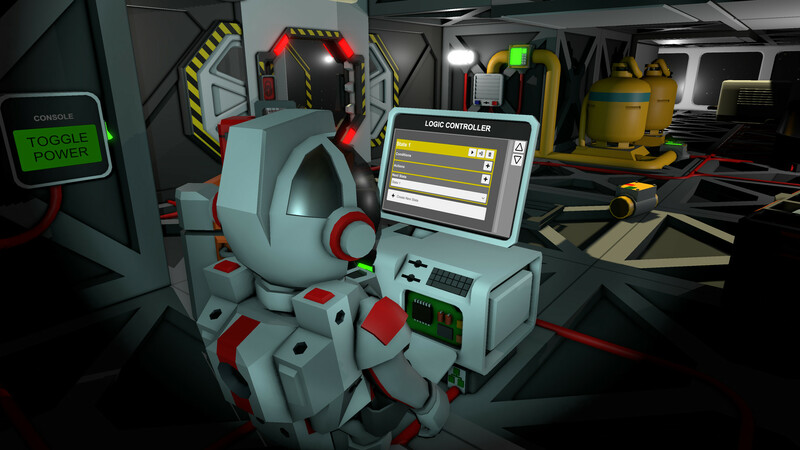 Computer game Stationeers refers to space simulators, where there are elements of survival, and the game will need to play from the 1st person. As the creators say, the project will not show unusual or scale elements. The main emphasis in creating is made on quality. We hope that an interesting computer game will be a worthy replenishment of the gaming industry. The creators will release the project in early access, and it is planned to distribute it on a special Steam service. This game has been updated 22-03-2019, 10:40 to the latest version v0.2.1956.8894. v0.1.1176.5874 is out ! update would be greatly appreciated ! Fixed another couple of instances where sounds had incorrect MaxDistance values set and as a result could be heard much further away than intended. Fixed a bug with room data was not cleaned up when session ended. Fixed an issue atmosphere would exit when deleting Sleeper. Fixed bug with Scrubber not venting air when set to Open due to exceeded pressure error state. Now will vent even when completely full, if the lever is open. Added Portable Solar. When placed outside of inventory, the panels will open. A battery can be placed inside, and available sunlight will be used to slowly charge the battery. Can be constructed using the Electronics Printer, using similar resources to the large solar panel. Added Heavy Cable variant for 4-way corner piece. Constructable from Heavy Cable Coil. Changed heavy cable to models which were more distinct and fitting with aesthetic of the game. Added 3-way corner heavy cable model, in line with normal cable coil corner. Fix construction cursor flickering when building walls and windows. Added Soy Oil that can be produced in the Reagent Processor from Soy Beans. Added Fries that can be made in the microwave using a Potato and a small quantity of Soy Oil. Provides a lot of calories. Added Baked Potato recipe. One potato can now be turned into a baked potato in the microwave, for more nutrition. Added Third person camera, can be activated with mouse wheel scrolling. Added 12 variants of cladding, a paintable, largely cosmetic outer layer for your base. Blocks sunlight but not atmosphere. Grouped into Angled, Cylindrical, Spherical and Rounded options. Deconstructed using the Angle Grinder. ItemKitCompositeCladding craftable in the Fabricator or Autolathe for 1 Iron per kit. Added Flags. Small, paintable objects that remain visible for 2x the distance of frames, to make it easier to mark the way back to base in case your tracker runs out of power. Craftable in the Tool Manufacturer and available in one of your starting crates. Added Organics Printer. Starting items that were previously irreplaceable (Plants, Eggs) can now be produced at the cost of large amounts of energy. ItemKitOrganicsPrinter can now be produced in the Fabricator. Added Recipe Selection menu "button" to the right-side of the contents screen of most manufacturing machines. This will bring up a drop-down menu that you can select a recipe from, rather than having to scroll through with the left and right arrows. Added Corner Cut version of steel frames, the last missing variant for the existing cosmetic frame corner options. Added New models for WallCooler, WallHeater and WallLights. Added 3 new variants of wall lights (Long, Long Angled and Long Wide) available through the same ItemWallLight constructor as the existing wall lights. Added Missing mirrored variant of long angled corner cladding. Added Vertex shader to plants for slight movement. Added Server-wide console log entry when players go unconscious, die or respawn. Added new paintable, models for ItemKitWall ItemKitWallIron and ItemKitCompositeFloorGrating that are now visually distinguishable from each other. Added automatic recycler recipes, so many items that were not previously recyclable should now be returning half their required ingredients. Time to clean up those bases! Changed recipe for ItemKitWall. As Windows can now be created with ItemKitWallIron and Iron alone, ItemKitWall is now crafted with Steel instead of Iron and Copper at both the Fabricator and Autolathe. Added first pass of Elevator support. Build Kit (Elevator) on the Electronics Printer. Two current placable blocks: Elevator shafts and Levels. When a level is placed, an elevator carrage will be created. You can only merge elevator networks where only one of them contains a carrage. The levels require power to operate their doors. Note: this is only the first pass and they may substantially change! Be very careful with this while they are on the beta branch in your saves. KNOWN ISSUE: They will not work as expected on motherships. Next update will ensure they work correctly on motherships. Added logic hooks for Elevators. Any elevator (both shafts and levels) will return the ElevatorLevel being the current level of the carrage on the local elevator network. You can also set the ElevatorLevel, which will make the carrage try to go to that level. And you can read the ElevatorSpeed, which is how fast the elevator is going. Where the carrage is missing, error values will be returned (like -1 for the ElevatorLevel). Added Escape From Mars scenario to base game, but still requires a lot of balance and currently will be very difficult to complete. If you do try it out, drop by Discord and let us know what you think! Added Speakers can now be linked to Airlock Controllers. When a speaker is linked to the airlock controller, it will be turned on and off in the same way as lights are - when the airlock is processing all Speakers will be turned on. Added Speaker (Klaxton). Has six alarm sounds and three basic music tracks. Set the different tracks using Mode, turn on and off with external tool. Can set volume either via logic, or via a screw on the speaker itself. Constructable from a Speaker Kit, which you can build on the Electronics Printer. Added Hardsuit Jetpack. Has increased capacity (forteen slots) as well as full jetpack functionality and increased environmental protection for contents. Constructable from the Tool Manufactory. Added Hardsuit Backpack. This has more slots, but no jetpack capability. Constructable from the Tool Manufactory. Useful where you want more storage space but don't require jetpack. Added first pass of setting prefab attributes through modding. There is now a new XML type "ThingModData" which is a list inside "ThingMods" in GameData. This allows you to overwrite prefab values that were previously hardcoded in the prefabs. So far, variables on Thing, DynamicThing, Item, Food, GasCanister, and BatteryCell have been exposed. An example mod is included in the game folder (StreamingAssets\AttributesExampleMod.zip), as well as on the workshop (don't run while playing the game, it makes eggs unusable in recipes). Note that over time more and more attributes will be exposed, allowing you to mod more and more of the game. Added Portable Hydroponics. A dynamic item that contains four planting slots, and a gas canister slot. Provided as part of the starting supplies, and also constructable from a kit produced from Pipe Bender. Allows growing plants in a dynamic object that can be carried around. Still requires sunlight. Can be wrenched onto a connector. Added recipes for Mushroom, Pumpkin and Rice to the Organics Printer. Added recipe for mothership core to Electronics Printer with some very temporary ingredients. This is largely to support the Mars scenario that is still being tested. Added OnMothershipCreatedEvent to scenario authoring to support tasks to create new mothership cores. Fixed Setting volume via logic is no longer clamped between 0.1 and 1. Now uses 1-100. Fixed error message when trying to set Klaxon volume outside the main thread (ie. via logic). Added Logic Writer with integrated switch. This is a logic writer with a mounted switch. When you change the switch, it will write a setting of 0 or 1 to it's selected output depending on the switch state itself. Constructable from the I/O Logic kit. Added Tomatoes, Tomato plants and Tomato Soup. Currently awards slightly more nutrition than a potato when consumed raw, but slightly less than a baked potato when made into soup - but is consumed faster. Balance values subject to change. Added first pass of 'event actions' or scripted events that occur at the beginning or end of an Incident stage. May be added to mission stages later. Added color ore scanner cartridge. Cartridge (Ore Scanner(Color)) acts like the default Cartridge(Ore Scanner), but distinguishes between different ore types by color. Dropped cost of Ground Penetrating Radar to make it easier to use default ore scanner. Refactored Mission system. Deprecated old-style loading for non-xml based missions. Can now support multiple concurrent missions. Mission components previously in WorldManager moved to the new MissionManager. Scene references previously stored in standalone instance of specific mission types (MarsMission, CustomMission) moved to MissionManager on WorldManager scene object. Refactored Incidents, which are essentially missions with no UI. Used to script random events, like heat waves, cold snaps etc. Replaced Crate Mount model and blueprint with arrows to indicate what what direction an attached crate will open from. Improvement Autorotate works on all outstanding wall-mount items. Notapiratem, the game is updated. Added basic telemetry variables to Control Chair and Hardsuit. Now reports PositionX, PositionY, PositionZ (worldspace positions), VelocityRelativeX, VelocityRelativeY, VelocityRelativeZ (relative velocity to forward), and VelocityMagnitude. Added first pass of satellite dish for communicating with AI ships for missions and trading. Currently just placable, not functioning. Included support for complex multigrid blocks with different smallgrid dimensions. Added first pass of Shuttle Landing Pad. Currently just placable but does not do anything. Added build states for Tool Manufactory. Added build states for Autolathe. Added build states to Electronics Printer. Added build states to Security Printer. Added build states to Hydraulic Pipe Bender. Added Logic Hash Generator. Buildable off the Logic Memory Item as a variant, when using a screwdriver on the button you get a combo that contains all dynamic things in the game. When you select it, that object will show as the current hash. This can then be used by anything that needs to use Hashes, such as the Circuitboard (Hash Display), IC's, Logic units, and Logic Motherboards. The output is recorded on the "setting", which is read only. Added UPNPEnabled option to Multiplayer options screen, so you can now disable UPNP if you don't want it or if it's causing problems. Updated wording on UPNP note on the Multiplayer settings page to clarify that both the setting AND UPNP on your router had to be enabled to make it work. Removed "launch" mode from Jetpack for now. Fixed game unable to run if workshop folder does not exist for stationeers. Normally, a workshop folder would be created - but if this didn't occur the game would not be able to be run. Now the folder will be created and even if it can't the game will still run. Credit: Zaneo, DirtyRat, and 4o (via discord). Added Alien Mushrooms. Alien Mushrooms breathes in Nitrous Oxide and breathes out Nitrogen and Oxygen. This is a first pass for plants breathing custom gas mixes. Added Alloy information and list to Stationpedia. Added Tutorial and new game Stationpedia will now popup with opacity set to none by default, to make it easiest to read it. Added second pass on Satellite Dish. Vertical and Horizontal can be set, in a similar way to the Solar Panel. Added first components of the systems supporting Interstellar Communication to creative mode. Added RatioNitrousOxide LogicType to logic-enabled atmospheric devices. Added Door Setting variable can now be set by Logic. Changed approximate checks on programmable chip from using |a - b| < e*max(|a|,|b|) to |a - b| < max(e*max(|a|,|b|), float.epsilon * 8) to avoid it wigging out when a or b are near 0. Tweaked and adjusted the layouts of the Settings screens so they're easier to read. Updated text input fields to now animate while hovering over them. Improved server messages. Server messages (shutdown notifications, server notices etc) now show up in the chat window as well. Fixed Null Errors that could be encountered on load due to issues getting an invalid game install path from Steam. Added Wall Light Battery variant. This has only a data port, but takes a battery as a power source so is useful as an emergency or temporary source of power. 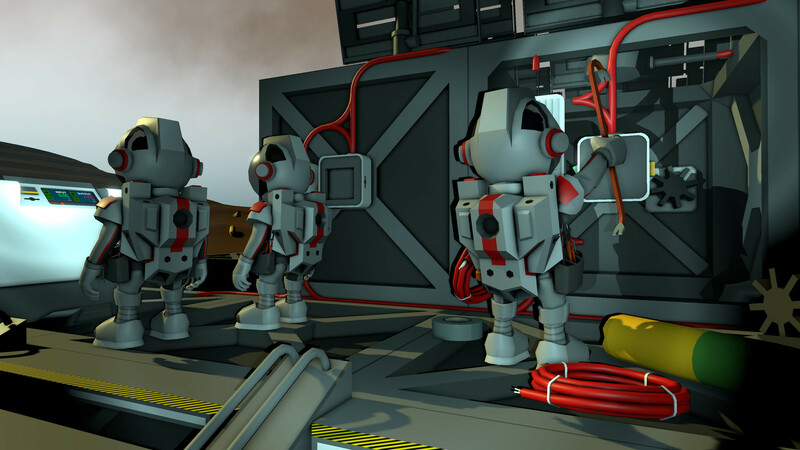 Added Suit Storage will now recharge batteries that are put in it, including batteries inside head torches and marine helmets. Added new character rig and models. This is a visual improvement to provide a better and more consistent visual result for characters, while still using the same rig for both male and female. Added Marine Helmet, Armor, and Uniform. Constructed on the Tool Manufactory. Helmet has a battery slot, and a lamp. Armor has four internal slots for storage. Currently does nothing special this is the first pass and will be extended later. Added first pass of controller support. Currently no defaults, so you have to set your own axis definitions. Added button images for Xbox One Controller (other controller image support to come later). Added Major refresh of Localized text files. Untranslated keys are no longer included in every XML file, as missing keys now default back to english. See the #localization channel in Discord for more details. Added branches and ternary operators to the IC to complete the missing ones. Added interface audio to the settings menu. Added new uniform models for when they're un-equipped to replace the original flat box models that they've had since release. Added 'Appearance' button to the settings screen. This functions the same as the character creation screen that has always been accessible in-game, but sets a preset character that will be used when you create a new world. This will be extended later to work with joining multiplayer games. Added Localized text (translation) support to the New World screen. Added Atmospherics Tablet Cartridge can now be used to read the internal atmosphere of another Stationeer's suit. Good for diagnosing unconscious players! Thanks to Sim and Neouni for the suggestion. Added dimmed backgrounds to all windows and dialog boxes to better prompt the user on what's currently interactable. Added a define command to the IC that allows programmers to create constant values without using a register. Added more sounds to UI including the character creation menu. Added moustache facial hair variants for November. Added in-game sounds for task, mission and stage completion, adding an object to your hand slot and opening and closing inventory windows. Added some more missing interface sounds in the menus. Added Holding the smart-rotate key as a modifier (default: C) now lets you loop through logic device pin options backwards. Added Green as a new available hair colour. Adjusted Prompt, Alert and Confirm dialog boxes to be more consistent with each other and adjust their size to the content inside better. Adjusted IC Script Editor window layout to be more consistent with other windows in the game. Adjusted Text Input window layout to be more consistent. Adjusted max radius an many looping sounds to reduce sonic clutter. WIP. Adjusted IC help windows to be longer, showing more items. Fixed bug that prevented second input on chips being set.